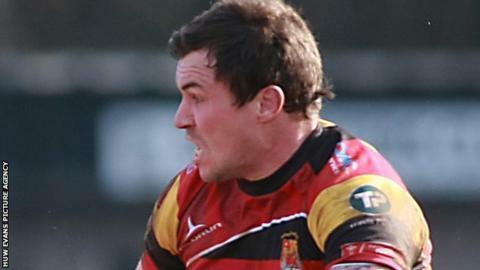 Newport Gwent Dragons have signed Carmarthen Quins centre Rhys Williams on a month's loan to cover an injury crisis. The Dragons are currently without four of their five specialist centres in Tyler Morgan, Pat Leach, Jack Dixon and Ross Wardle. Tom Prydie has been filling in in the position but joins Hallam Amos and Taulupe Faletau on Wales duty. Williams, 26, played for Llandovery before a spell in France with Nevers. The former Wales Under-20 international will be available for Saturday's Pro12 game at Ulster.